The employees in an organization can be categorized as Gatekeepers: Who control the resources and much more; Innate Achievers – Who excel at taking initiatives and turning them into milestones and achievements; Confused Majority – Who have great potential but are ‘confused’ about how to deploy it. How can we design an online platform that will enable the Confused Majority to learn from and morph into Innate Achievers while the Innate Achievers gradually become the Gatekeepers? How can such a platform unleash a wide spectrum of opportunities for disruptive initiatives and collaborations? 1. The Gatekeepers: The top management at the corporate level and the business unit level who control the trajectory of the organization and its talent, define its culture, the reward systems, control the funding of breakthrough ideas and much more. In many organizations (especially non-high tech) they do not understand the need to tap significant latent human potential that resides in the employees at all levels. Even if they do, they are at a loss on how to treat those who are ‘different’. Worse still they may stonewall creative efforts by employees that does not confirm to the existing business model. They continue to deploy appraisal and incentive systems that ‘judge’ employees on obedience, diligence and intellect and rarely on initiatives, passion and creativity. They take the outdated Jack Welch Mantra of dividing employees into 10-70-20 (high achievers, medium achievers and poor achievers) as gospel and rarely believe the potential of the ‘70’ can be tapped. 2. The Innate Achievers: The employees who are adept at taking initiatives, go beyond their given job description and are keen to achieve self-determined milestones. They raise the bar for their own selves. They often achieve in spite of the Gatekeepers rather than being supported by them. They are the ones responsible for breakthrough changes of all forms, be it in design, products, culture, strategy etc. If continually stonewalled by the Gatekeepers, they leave in search of greener pastures. 3. The Confused Majority: The employees who are great at executing a given job description but rarely go beyond that. They have accepted that execution of a given job description yields them the greatest ‘available’ rewards. They do not believe their potential will be rewarded translating into lack of original initiatives. They are also not adept at creating opportunities, i.e. they do not understand how their potential can be channelled to realize satisfying breakthrough outcomes for the organization. When stonewalled by the Gatekeepers, they submit to their ‘destined’ roles. 1. The Gatekeepers are able to easily identify and nurture Innate Achievers? 2. The Confused Majority is able to easily identify and learn from the Innate Achievers and are transformed into Achievers themselves? 3. The Innate Achievers overtime become the Gatekeepers? 4. The Innate Achievers have a hand in breaking down walls and the Gatekeepers create conducive opportunities that enable the Confused Majority to cross over into the land of Innate Achievers? If one were to categorize the different levels of achievements in an organization, they can do so effectively with the help of the Improve-Invent Continuum. One the left side is the minimum expectation of impact (incremental) from initiatives of employees in an organization. In the middle of the scale are radical and breakthrough products/services or processes that delight customers. At the far right are disruptive products/services or a complete transformation of the culture/way of doing things in an organization or business unit that give the organization a sustainable and long-lasting competitive advantage. One needs very different skill sets and attitudes and motivations as one goes from left to right. While on the left you must just need to be good at executing a known business model/process/activity, on the right you need to collaborate, use your creativity and exhibit passion to get things done. The above scale of improve-invent sets a high bar by placing radical/breakthrough products in the middle of the scale. But it is the very intention to set a high bar for the different level of achievements so that there is considerable challenge for the latent human potential in organizations. 5. Revenue: The revenue model. Example: Subscription, advertisements etc. 7. Key Resources: The Resources that are crucial to an Organization. 9. Costs: The major elements of Cost structure in your business. Usually can be identified from key activities and key resources. Osterwalder in his subsequent book, ‘Business Model You’ tries to apply the Business Model Canvas to an Individual to help her visualize her career. 1. Customers: The Internal and External stakeholders you cater to. May be customers, business units, functional departments etc. 2. Value Proposition: How you end up helping. What is unique about the help that you provide. 3. Customer Relationships: How you interact and engage with the above mentioned stakeholders. 5. Revenue: What you get. Example: Income, Satisfaction, Recognition, Status, Visibility etc. Visualize an online platform/application that is integrated to the ERP or the employee portal of a company. Let us look at some of the features of the platform in more detail. A. Add milestone in Profile Page: When an individual clicks on ‘Add Milestone’ on the profile page, the following page would pop up. As can be seen, the individual who feels he has accomplished a milestone, can add the title of the milestone which will be displayed in his profile page. He then describes the milestone in 140 characters or less. He then gets to rate his own milestone by sliding the yellow pointer on a 5 point scale on the Improve-Invent Continuum. He then has to compulsorily add a Business Model Canvas by clicking on ‘Click here to save and add Business Model Canvas’. The Business Model Canvas will serve as the single page ‘documentation’ by the individual on what he thinks enabled him to achieve that milestone. Note that I have modified the canvas a bit. The Value proposition will serve as the distinct characteristics of the achievements. There is an extra component called ‘Habits’ on the left that indicate the regular activities and habits the individual indulged that helped her to achieve the milestone. The employee can also rate how helpful the organization was in achieving the milestone and give feedback on how support could be improved. Therefore, when any other employee views the business model canvas of this employee, she will get a fair idea of the efforts that were taken to achieve the milestone, the key activities, the key resources used, who to partner with and the regular habits she must indulge in. 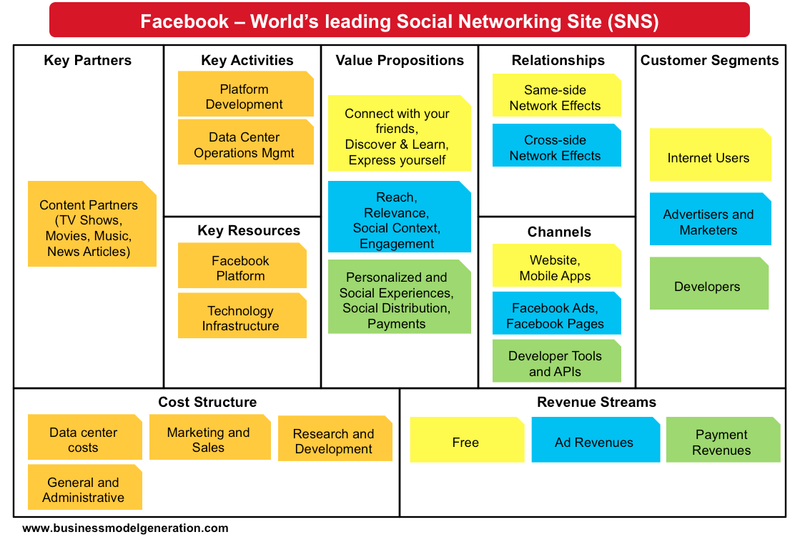 Note the ‘red pins’ enable the viewer to pin the different components to her own Business Model Canvas. The implicit meaning is that when an employee pins a component from Joel’s business model canvas to her own business model canvas, she believes the component truly added to Joel’s Achievement. The number of times the components in Joel’s Business Model Canvas is pinned is reflected in the Statistics column in Joel’s Home Page as ‘No. of Shares’ as well as in ‘No. of Shares’ at the bottom of the Business Model Canvas Page. The Create Tab allows the employee to set a new ‘Goal in Progress’ and Create a Business Model Canvas with the various components that she believes will enable her to achieve the ‘Goal in Progress’. Permissions are received as to whether the employee wants to publish her goal in her homepage or profit page for everyone to see. Also the employee can choose to invite collaborators for the goal and can apply for mentors. She can publish her goal in the internal communities/groups she wishes to attract comments, suggestions and collaborators. Note that the Rating as well as the tentative Business Model Canvas will be made available. In the community page, goals can be published to invite collaborators. Collaborators can view the Business Model Canvas and can decide to join by clicking join. Once they click join, they may have to meet some minimum criteria that has been set by the goal owner. Once allowed to join, the collaborator can suggest modifications in the business model canvas. Also, the goals which have attracted many collaborators will be displayed in the community page and mentorship requests can also be placed here. What can be an effective search parameter to find out the milestones relevant to an employee? An effective search parameter for finding out the various milestones created is ‘Customers’ in the Business Model Canvas. For example, if an employee searches for milestones for customer ‘R&D’, then she will get all the milestones that catered to the R&D Department. Therefore, if an employee has a fair idea which ‘customer’ or department she will be catering to (most often the department which she is working in), then she can view all the milestones by rating/popularity catering to that department. She can then click on the milestones to see the detailed description as well as the Business Model Canvas. By doing so, she will get a good understanding of the scope of opportunities to serve the customer, the activities that need to be done, habits that need to be formed, the resources required etc. Also, Goals in Progress catering to different ‘customers’ can be viewed. Under this tab, Trending milestones can be displayed. The sorting can be done based on number of views, number of collaborators, number of mentors, number of shares or pins from business model canvas etc. The practical impacts of this platform are enormous and game changing. Every milestone that is recorded is backed up by a business model canvas that explains the underpinnings of the achievement. This is something that organizations have failed to do for long: document the reasons for achievements in a coherent, standardized format. By documenting the underpinnings of achievements in a coherent, standardized format, it becomes easy for the confused majority to understand the reasons for the success/achievement. For example, they can get to know the competencies they need from ‘Key Resources’ in the Business Model Canvas. They thus get new perspectives on going about their own ‘Goals in Progress’. More than just a coherent, standardized format, the components of the business model canvas envisioned here is also sharable. This makes it possible for the confused majority to ‘adopt’ the practices from innate achievers. Gradually the confused majority will become innate achievers themselves. The milestones of innate achievers are made known transparently across the organization. If the no. of milestones/total milestone score/no. of ‘above 4’ milestones are high and is among the ‘leaders board’, then the company can decide to mandatorily review the milestones and reward the innate achievers. If their metrics like no. of milestones/total milestone score/no. of ‘above 4’ milestones etc. are high, then they are featured in the leaders board. Also they appear in the search results when milestones are searched by ‘customers’. If the innate achieves are incentivized by Gatekeepers based on the number of views of their canvas/no. of shares etc. then it is imperative that they will share their milestones and take the pains to record the underpinnings in the business model canvas. By rating the milestones on the Improve-Invent continuum, the company will get very important insights on where they currently stand. For example, the Milestone Score/Employee will reveal if employees on a whole are realizing their potential. The no. of milestones/employee will reveal the no. of initiatives that are on an average taken. The no. of milestones with above 4 rating will reveal the disruptive initiatives that were taken. The metrics will push the company to enable employees to realize their potential. Since the ‘Goals in Progress’ also have tentative Business Model Canvas, the collaborators who want to pursue a goal can take informed decision by looking at the Canvas on the various components. The Gatekeepers can get to know which ‘goals in progress’ are attracting collaborators. This knowledge can help them to support such collaborations with much needed resources and mentors. Employees are now aware of how their initiatives impact the organization when plotted on the Improve-Invent Continuum. This will push more employees to strive for disruptive milestones as well as push employees to collaborate on disruptive ‘goals in progress’. Fortuitously, the Business Model Canvas has the column ‘customer’. When employees search for milestones, they are best served, if they find milestones that cater to the ‘customers’ they are planning to cater to. Therefore the platform enables employees to find the most relevant milestones. Gradually as people set higher and higher rated milestones, the endless possibilities for translating the human potential into path breaking achievements become visible. This reinforces the efforts of veterans while encouraging new recruits. The platform enables meritocracy where real disruptive impact on organization is rewarded irrespective of hierarchy levels. Over time, the Innate Achievers will become the Gatekeepers. The ‘Goals in Progress’ which can be also published in communities ensure that more people see these goals and hence there are enormous opportunities and calls for collaboration. Last but not the least the Gatekeepers will be forced to change. Once the Innate Achievers create milestones and the Confused Majority create the ‘goals in progress’ and the collaborators respond to these ‘goals in progress’, the Gatekeepers will be forced to breakdown rules that inhibit this ‘pursuit of potential’ and will be forced to create an environment that is conducive for these collaborations to thrive. Since the platform allows the employee to create her own milestones, she may end up rating them higher than appropriate or may not know where on the Improve-Invent continuum the milestones fall. a. Mention the examples of Scale 1, Scale 2, Scale 3, Scale 4 and Scale 5 Achievements. This will set in stone the expectations of the different scales from the organization. The organization may also choose to give multiple examples from different industries to illustrate more clearly. b. Have a ‘verify’ feature on the milestones. The ‘verify’ feature can be used by all other employees other than the one who created the milestone. It is used to verify whether the rating is appropriate and can be based on the examples mentioned in the previous point. The ‘Verifications’ on the profile page will illustrate the reliability of the ratings. 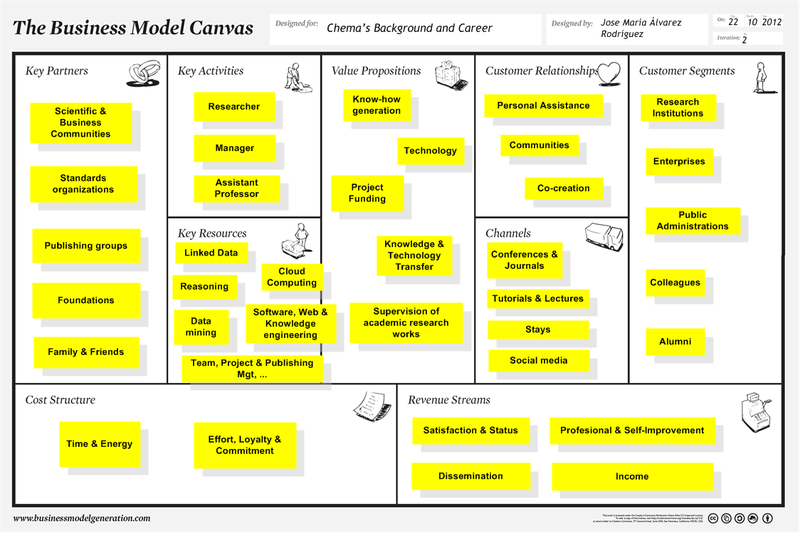 The Business model canvas can sometimes be difficult to understand and the employees may not enter components in the manner they are intended to. The employee must be able to see a sample canvas while filling his own campus. A ‘quick tip’ button or ‘help’ button can also be very helpful. Initially some Business Model Canvas workshops applied to an individual can be conducted within teams to familiarize them with the concept. Sometimes, there may be too many requests for collaboration on the same goal especially if the employee is highly reputed or has a huge track record of success. The volume of applications may just be too much to handle. The control must be given to the employee who created the ‘Goal in Progress’. She can have custom criteria to select the collaborators. What if an employee creates 10 ‘Goals in Progress’? What if an employee wants to collaborate on 10 different goals? This may cause his core work to suffer. Restrict the number of Goals in Progress to a smaller number, say 3. That is an employee can have only 3 goals in progress. If he has to add one more, then one of the goals should have become a milestone (that is achieved) or must be dropped to make way for another. Similarly an employee may collaborate on maximum 3 goals. If there is going to be a change in the way Gatekeepers are going to function, then the Chief Gatekeeper must be involved! The CEO can indicate to the employees the need for realizing human potential and what it means for the business. She can give an illustration on what might the business look like if the human potential was tapped into. She must encourage innate achievers to share their milestones and provide feedback on if they were achieved because of or in spite of the management. Some interactive webinars on the improve-invent continuum can be disseminated that would clarify how to rate the milestones. Workshops and exercises focused on business model canvas can be conducted to familiarize the different components applied on the individual. Joel, I did not know about Alexander 's model.Thanks to you, I do now. Cool. The scale from incremental to radical and disruptive is very helping. All details about the collaborative intelligence building up and tracking is of high interest too. I love the idea of confused majority as an important indicator and target to move up.